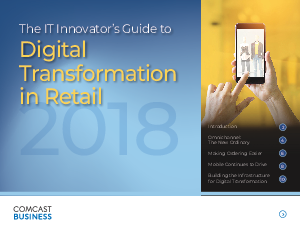 Retail has been transformed by technology in multiple ways, from the way customers interact with retailers to how products are offered and acquired. Indeed, the entire shopping experience has been redefined and expanded to enable customers to purchase products anytime, anywhere, with any device, from any number of retailers. Consumers’ changing shopping behaviors and their reliance on technology enables retailers to reach a wider swath of potential buyers, moving well beyond the borders of their physical store locations to new geographies and populations. That said, retailers must understand how to use technology effectively to draw in customers and entice them to purchase, as well as help them improve their operations and enable new, innovative ways to keep customers coming back.